Rexana wins Junior Expo Bulle! Last weekend one of Switzerland's best shows: the Junior Expo Bulle 2018 was held in Bulle. The judge was Blair Weeks from Canada who was praising the Swiss cows. The already judged this years World Dairy Expo the Red Holsteins and wasn't sure were the best R&W's were. 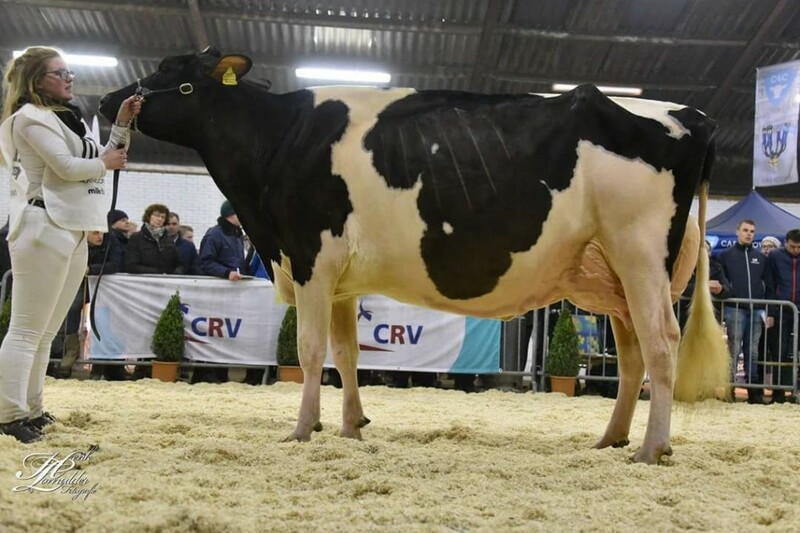 Armani daughter C P P Armani Rexana became GRAND Champion and Best Udder of the R&W Junior Expo Bulle '18! She was consigned by Currat Pappaux Piller Holstein and fresh in her 2nd lactation. 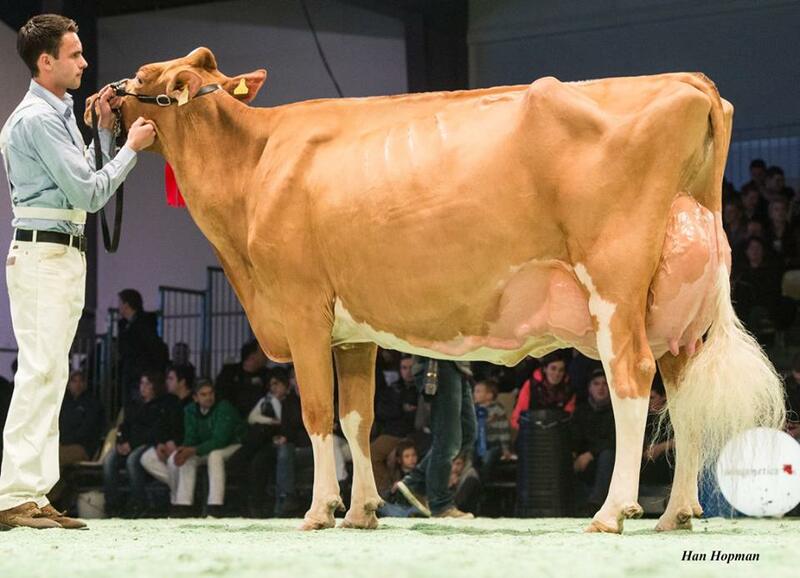 This fancy RED Armani is a daughter of the well-know Ralstorm daughter: Giallina EX-90-CH of Scholten Dairies. 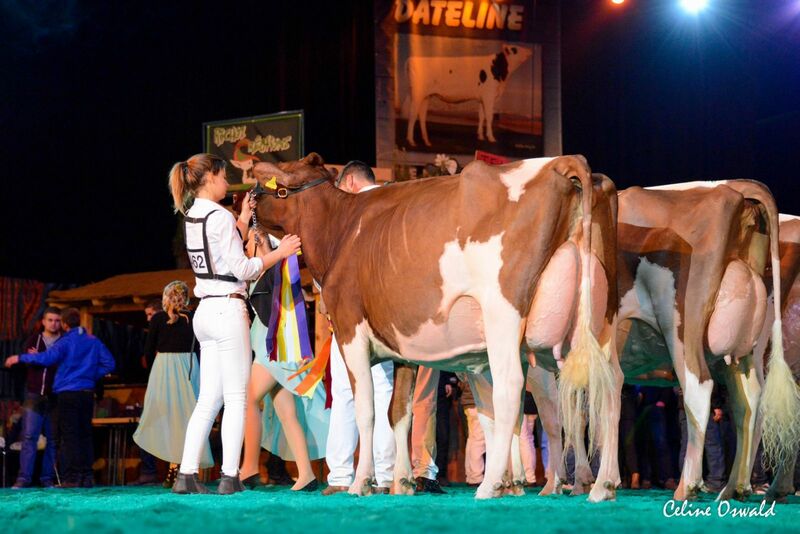 Giallina is a direct daughter of the famous Incas dtr Grenada, who won several shows like the Swiss Expo & Swiss Red Night. 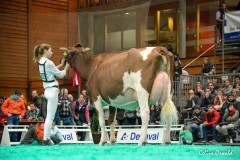 C P P Armani Rexana her lovely udder! EX-90 Ralstorm x Incas Grenada EX-94-CH EX-97-MS!! Entered for the HHH-Show 2018 in Zwolle, Netherlands! Grand dam Rexana: Incas Grenada EX-94-CH EX-97-MS!! To contact Scholten Dairies, click here or use the following contact information.